Fujinon MK18-55mm and MK50-135mm on my PMW F5 for first tests. Prepping my camera today for a shoot tomorrow. 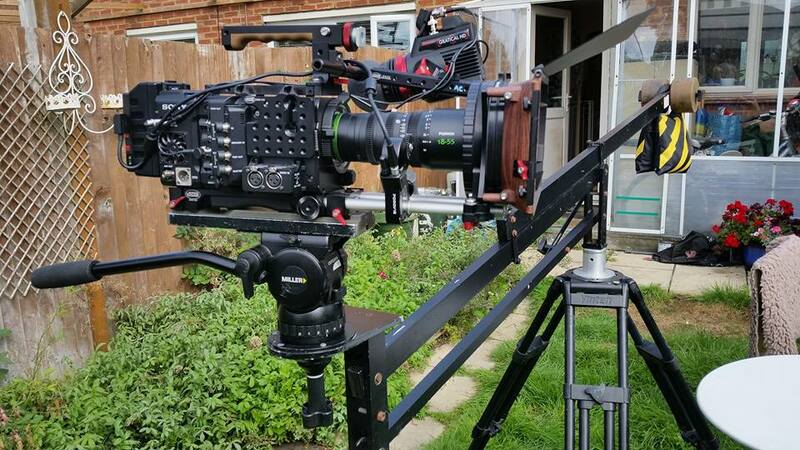 I’ll be shooting with the Fujinon MK18-55mm and MK50-135mm lenses fitted with Duclos FZ mount adapters. I’ve been using the MK18-55mm on my FS7 and FS5 for some time and I have to say I really love this lens. It produces beautiful images with silky smooth bokeh, it’s parfocal and it covers a very hand range of focal lengths. I’ve been wanting to use this lens on my F5 for some time and now at last I can. These lenses work great on the F5 and F55. They are very light compared to most PL lenses and this really helps with the cameras balance, especially if shooting handheld. They are also very cost effective. Fujinon MK18-55mm with Duclos FZ adapter on PMW-F5. The light lens weight means I need less weight on my jib than I would have with most similar PL zoom lenses. Also being nice and fast at T2.9 I know I can get great shallow DoF. Tomorrow I’m going to be shooting 2 amazing artists that create incredibly detailed things out of large lumps of iron and steel. I’ll be shooting examples of some of the finest works of metallic art along with all the key parts of the process of creating them. There will be beauty, iron, steel, heat, flames and sparks. I’ll try to post pictures from the shoot over the weekend and once the video is done it will be online for all to enjoy. Previous PostBeware Exposing To The Right With Log.Next PostSony RX0 – Is this the ultimate mini-cam (for now at least). Keep us informed of your experience in the field. Keep us informed of your practice experience. And of course the technical quality of the end result!! I am particularly interested in your experience with these two lenses. By this I mean, physically working with the lens. I guess you know.. but having shot alot of Japanese sword making.. make sure you have an optical flat or similar in your matt box.. those sparks will kill the front element, if they land on it.. to say nothing of your own head !.. wear a cap sir.. Yes, a box of optical flats and sacrificial filters is ready as are the safety specs etc, but I hadn’t thought about my head, good call. Thanks.